A fresh and stimulating examination of the ideology, programmes, expressions and consequences of the British 'civilizing mission' in South Asia. Inherent in colonialism was the idea of self-legitimation, the most powerful tool of which was the colonizer's claim to bring the fruits of progress and modernity to the subject people. In colonial logic, people who were different because they were inferior had to be made similar - and hence equal - by civilizing them. However, once this equality had been attained, the very basis for colonial rule would vanish. 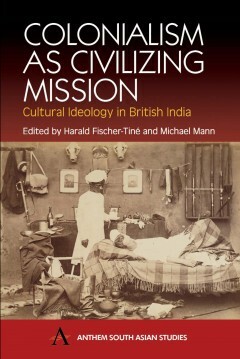 'Colonialism as Civilizing Mission' explores British colonial ideology at work in South Asia. Ranging from studies on sport and national education, to pulp fiction to infanticide, to psychiatric therapy and religion, these essays on the various forms, expressions and consequences of the British 'civilizing mission' in South Asia shed light on a topic that even today continues to be an important factor in South Asian politics. Harald Fischer-Tiné is Professor of History at the ETH Zürich (Swiss Federal Institute of Technology, Zurich). Michael Mann is Assistant Professor and Senior Lecturer at the Fern Universitaet, Hagen.